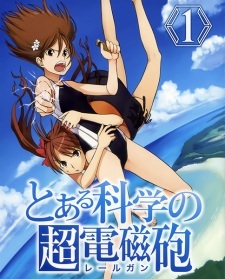 Toaru Kagaku no Railgun is a short story in Arts and Sciences City that takes place in the time period between September 3 and 10. Academy City has a exchange program with the rest of the world that allows some students to travel for this week to other places, and some students are allowed into Academy City during this time. Mikoto, Kuroko, Saten and Uiharu went to the Arts and Sciences City, made on a artificial island off the coast of California for a field trip. The Arts and Sciences City is known as a city that has cutting edge technology (in terms of the standards of the 'Outside' of Academy City—i.e. it is still far behind that of Academy City's), and is trying to take over Hollywood as the entertainment capital of the world. Stuntsmen and shows occur frequently at this city, and anything out of the ordinary is treated as another show. Due to the climate apart from sleeping everyone wears their swimsuits all the time.